Cardi B has been making headlines for speaking out against president Donald Trump, with her most recent criticism relating to the government shutdown and its impact on various communities. 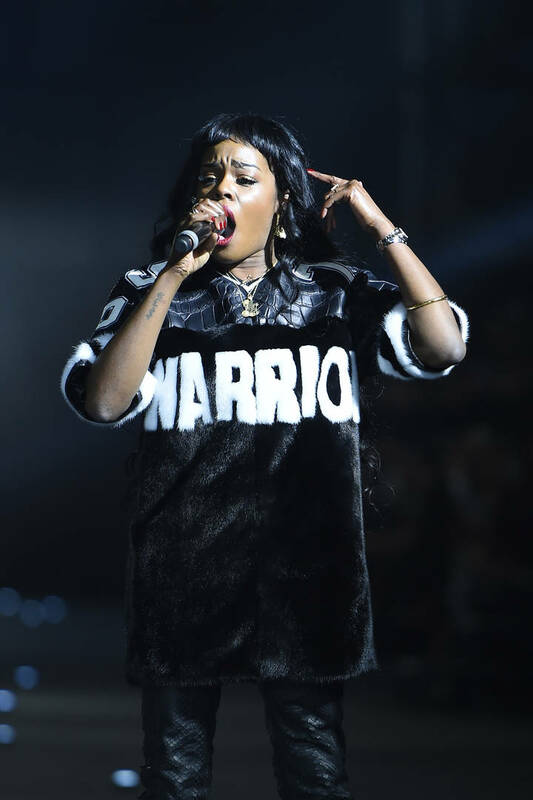 Azealia Banks has commented on her fellow rapper's efforts following the praise they have attracted from democratic figures. From her perspective, Cardi's focus on American issues without paying equal attention to those of the Dominican Republic is slightly disingenuous considering her pride in her Dominican/Trinidadian heritage. Banks took to social media to express her grievance. "This is a bit performative. I'd love to see Cardi say something to the leaders of the Dominican Republic about its ethnic cleansing and deportation of Haitians," she wrote. "Going after Trump is just an easy way to get press." The artist then refers to the Carribean nation's decision to strip people of their citizenship due to their Haitian ancestry. "Don't chastise Trump and Tomi Lahren for being racist if you can't be bothered to criticize your own people about the rampant racism in the Dominican Republic." "The Dominican Republic literally does the same thing to Haitians that (America been doing,) Trump is doing with Latin American immigrants and migrant workers," Banks continued. "I think she's influential enough to really make some changes there. Would help a lot of poor Haitians and Dominicans of Haitian descent have access to jobs, healthcare, housing, etc." Amnesty International described the country's political move 2016 when its residuals were still flagrant: "In September 2013, the Constitutional Court of the Dominican Republic ruled that children born in the country to undocumented foreign parents since 1929 had never been entitled to Dominican nationality." Since the stipulated timeframe spanned over 80 years, multiple generations were affected. Someone could have been born to parents whose own parents were DR citizens and still be ousted. Many were left without a home country as a result. The racism Azealia Banks mentions even escalated to lynchings, adding horrific violence to the tenuous relations. Years later, the subjects of this massive deportation still live in a state of institutionalized terror.